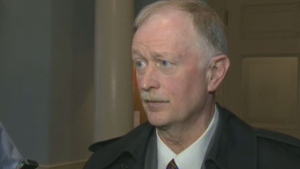 There is a new twist in the alleged scuffle between two MLAs at the Nova Scotia legislature. 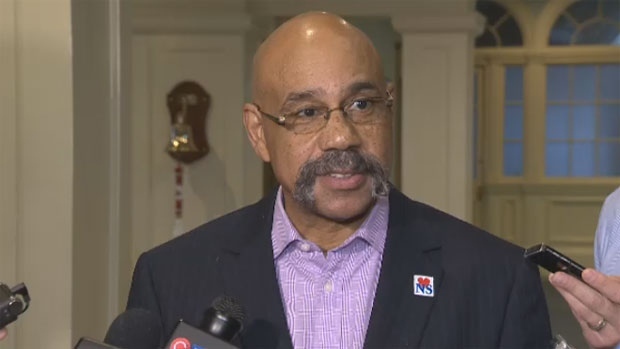 Nova Scotia Premier Darrell Dexter is denying reports he was in the bathroom when former cabinet minister Percy Paris allegedly assaulted Keith Colwell on May 9. Dexter says he was on his way into the bathroom as Paris and Colwell were leaving and that he didn’t see or hear anything. Colwell, 65, says he was on his way to the washroom when he was assaulted by Paris, also 65. He tells CTV News he thought there was a third person in the small bathroom, but didn’t see anyone, and says he did not see the premier coming into the bathroom. He also says that if the premier was on his way into the bathroom during the incident, he should have intervened. Parisdenies assaulting Colwell, but admits that he “lost his cool” and had a “heated exchange” with Colwell. Someone, although it’s not clear who, contacted police about the premier’s presence. “I think it’s incumbent on the premier to tell us what he heard and let Nova Scotians decide if it’s of any use,” says Nova Scotia Liberal Leader Stephen McNeil. The alleged incident has been referred to the Nova Scotia legislature’s internal affairs committee, which is chaired by Dexter. McNeil says Dexter will be in a conflict of interest unless he excuses himself from the committee while the incident is under review, but Dexter says he won’t step down. Paris is charged with uttering threats and assault in connection with the incident. He resigned as minister of economic and rural development and tourism shortly after the charges were laid, but he will continue to serve as the MLA for Waverly-Fall River-Beaverbank. Paris was released from custody on a promise to appear in Halifax provincial court on June 18. He has also been ordered not to have any contact with Colwell, except for incidental contact in the workplace. Should residents be allowed to build new homes in areas that are prone to flooding? Yes. If someone wants to build on a floodplain, that’s their choice. Yes, but they shouldn’t expect insurance or government aid. No. It’s too costly and can be dangerous.